Health insurance doesn't always spare consumers from big health care bills. After Pam Durocher was diagnosed with breast cancer, she searched her health insurer's website for a participating surgeon to do the reconstructive surgery. Having done her homework, she was stunned to get a $10,000 bill from the surgeon. "I panicked when I got that bill," said the 60-year-old retired civil servant who lives near Roseville, Calif.
Like Durocher, many consumers who take pains to research which doctors and hospitals participate in their health insurance plans can still end up with huge bills. Sometimes, that's because they got incorrect or incomplete information from their insurer or health-care provider. Sometimes, it's because a physician has multiple offices, and not all are in network, as in Durocher's case. Sometimes, it's because a participating hospital relies on out-of-network doctors, including emergency room physicians, anesthesiologists and radiologists. Consumer advocates say the sheer scope of such problems undermine promises made by proponents of the Affordable Care Act that the law would protect against medical bankruptcy. "It's not fair and probably not legal that consumers be left holding the bag when an out-of-network doctor treats them," said Timothy Jost, a law professor at Washington and Lee University. Adding insult to injury, insurers are not required to count out-of-network charges toward Obamacare's annual limit on out-of-pocket expenses. 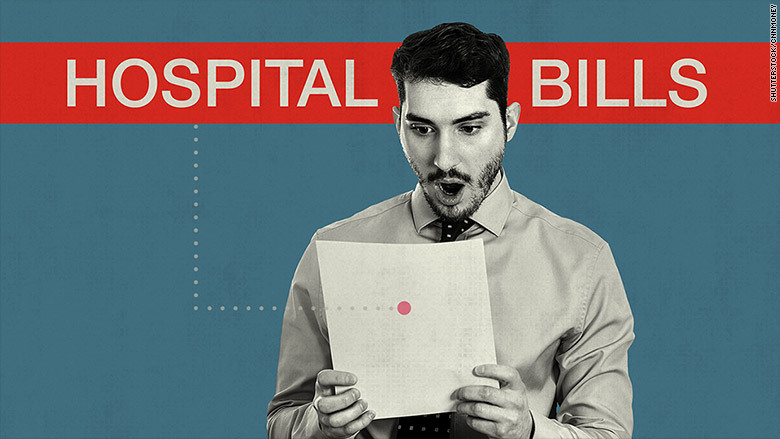 Efforts by doctors, hospitals and other health providers to charge patients for bills not covered by their insurers are called "balance billing." The problem pre-dates the Obamacare and has long been among the top complaints filed with state insurance regulators. Because the issue is complex and pits powerful rivals against one another— among them, hospitals, doctors and insurers— relatively few states have addressed it. What laws do exist are generally limited to specific situations, such as emergency room care, or certain types of insurance plans, such as HMOs. Obamacare largely sidesteps the issue as well. It says insurers must include coverage for emergency care and not charge policyholders higher copayments for ER services at non-network hospitals. While the insurer will pay a portion of the bill, in such cases, doctors or hospitals may still bill patients for the difference. That means that in spite of having insurance, a consumer involved in a car wreck and taken to a non-network hospital might receive additional bills, not just from the hospital, but from the radiologist who read his X-rays, the surgeon who repaired his broken leg and the laboratory that processed his blood tests. Advocates believe a growing number of consumers are vulnerable to balance billing as insurance networks grow smaller in the bid to hold down costs. For example, there were no in-network emergency room physicians or anesthesiologists in some of the hospitals participating in plans offered by three large insurers in Texas in 2013 and 2014, according to a survey of state data by the Center for Public Policy Priorities, a Texas advocacy group. Smaller networks are also becoming more common in employer-based insurance: About 23% of job-based plans had so-called "narrow networks" in 2012, up from 15% in 2007, according to a May report from the Urban Institute and Georgetown University Center on Health Insurance Reforms. To protect consumers, advocacy groups want regulators to strictly limit balance billing when an insured person gets care in a medical facility that is part of an insurer's network. • Colorado insurers must pay non-network medical providers their full charges, not discounted network rates, for care at in-network hospitals. • In Maryland, insurers must pay for "covered services," which includes emergency care, but the state sets standardized payment rates. • Starting in April, New Yorkers won't face extra bills for out-of-network emergency care, when an in-network provider is unavailable or when they aren't told ahead of time that they may be treated by a non-participating provider. Instead, the bills must be settled in arbitration between the providers and the insurance companies. Insurers defend the move to smaller networks of doctors and hospitals as a way to provide the low-cost plans that consumers say they want. If regulators required them to fully cover charges by out-of-network doctors, that could reduce "incentives for providers to participate in networks" and make it harder to have adequate networks, America's Health Insurance Plans, the insurers' trade group, and the Blue Cross Blue Shield Association wrote in a joint letter to the National Association of Insurance Commissioners (NAIC). It would also raise premiums. Instead, AHIP says, states could require out-of-network doctors to accept a benchmark payment from insurers, perhaps what Medicare pays, rather than balance billing patients. Physicians, meanwhile, blame insurers for inadequate networks. "It is the limited coverage, not the physician bill, which is the cause of the unfairness," the Texas Medical Association wrote to the NAIC. At the very least, doctors and hospitals say insurers need to do a better job of educating policyholders that their plans may not cover care provided by some doctors and hospitals. And not all doctors choose to balance bill. For patients like Durocher, the only recourse is to negotiate with the physician or hospital to ask them to lower or drop the charges. "Fortunately for me," Durocher said, "this doctor was very nice and wrote off almost $7,000 of the bill." 1) Check your insurer's website to verify that the hospital or doctor is listed, and then call the provider to be sure. Use in-network providers whenever possible. Be aware that some health-care providers may be in-network only at specific offices. 2) Be aware you could be billed by an out-of-network doctor even at an in-network hospital. Some plans will cover those costs fully, especially for emergency care, but many do not. When possible, request a network doctor, anesthesiologist or specialist in advance of elective surgery. If you are billed by a non-network provider, call your plan to find out if it will cover the bill because you were at an in-network hospital. 3) If you get a balance bill, double-check to make sure the doctor or hospital is not part of your network. If they are not in your plan, check with your state insurance regulator to see if there are rules that might protect you, especially in an emergency situation. Ask the doctor or hospital to reconsider. If they won't, complain to your health plan and whoever regulates it, as well as to your state's consumer assistance program, if there is one. 4) Negotiate. If there are no plan policies or state rules to prevent the billing, negotiate with the providers to lower their charges to an amount close to what an insurer would pay. Your insurer's website might have pricing information. Websites, such as Fair Health or Health Care Bluebook, can also help determine the prices of various procedures.